Is that enough for the Finns' tunes service? Nokia's Comes with Music - is it a success? 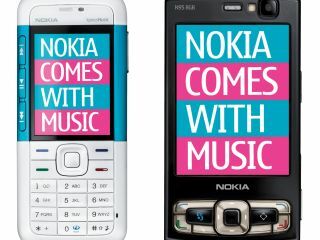 Nokia's Comes with Music service has gained just 107,000 users since its launch last October, according to new statistics. Music Ally says it has 'been passed details' of active CwM users worldwide, with the UK leading the way on just under 33,000. These numbers are three months old, and Nokia gained 10,000 new subscribers to its service from April to July, so it's not all bad news. Some are comparing the impact of CwM to that of Spotify, which launched around the same time, and now has six million registered users. But Nokia's model is entirely different, requiring the user to purchase a mobile phone and pay a premium on the base cost of the handset to download and keep unlimited tracks (although locked to one phone). 32,728 users in nine months, especially with a massive marketing campaign behind it, is unlikely to be the figure Nokia was looking for when they announced the service last year. Other problems have beset the service too - the 'flagship' CwM phone, the 5800 XpressMusic, actually launched without the service, and other phones carrying it have been few and far between. The launch in the US has also been pushed back until 2010, for 'unnamed reasons', and it seems the route to market in developed nations is being blocked somewhat by operators keen to push their own music portals. The launch of Spotify Mobile is also likely to attract users away from paying a lump sum (or a premium on their tariff), despite being an entirely different model. But 2010 will see a number of new phone using the CwM service, notably the Nokia X6, and Nokia has told us that it's planning long term with this strategy, with early numbers not as important as future growth, so it's unlikely to can the music offering.